In 1928 he traveled to Beijing at the request of Chen Zhao Pei to teach Tai Chi Chuan. He established a name for himself, defeating a number of noted martial artists. As a result of this, Chen family Tai Chi Chuan became well known. His first son, Chen Zhao Ho died young. 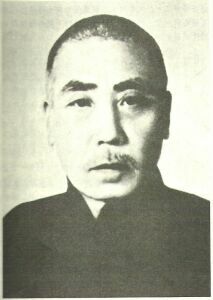 His second son, Chen Zhao Xu, father of Chen Xiao Wang, stayed with him, but unfortunately he died only three years after his father in 1960 at the age of 46. His third and fourth sons,Chen Zhao Xiang and Chen Zhao Kui both learned his art and continue the family tradition. His son Chen Zhao Kui is the only one inherited his Xin Jia (New Frame). Chen Fa Ke accepted at least several hundred disciples over the period of thirty years. Among them were Chen Zhao Pei, Feng Zhi Qiang, Gu Liu Xin, Liu Rui Zhan, Tang Hao, Li Jin Wu, Li Mu Min, Pan Yong Chow, Hong Jun Sheng, and Tian Xiu Chen.